Is it spring yet? With the crazy mixed-up seasons we have had this year we may never really know what spring is! It is time to begin to think about the external parasites that will begin to bug our best four-legged friends. Ticks will begin to show up soon in the weeds and tall grasses all around our great state. While Lyme disease is not a huge issue here in Ohio, we did have 48 cases of it reported last year alone. The best way to prevent the spread of any tick-related disease is to begin using a preventative product before we even begin to find ticks. Products sold by your veterinarian have been safety tested and proven effective. The over-the-counter products do not work as efficiently and many may even have dangerous side effects, especially if they are applied to animals that they are not intended for or are accidentally ingested. Fleas are another parasite that we all wish we never had to deal with. Unfortunately, fleas live just about anywhere. They love to hide in the dark crevasses of your home or your dog’s kennel area. One adult female flea on your pet can lay over 50 eggs a day! This is the beginning of a maddening cycle. No matter how many times you wash your dog or how clean your house is, the fleas have a way of hanging on. The best way to prevent fleas is to begin to use a flea control product before they are a problem. This type of preventative comes in many different varieties, such as topical applications and oral pills. Each product controls fleas in a different way, so it is important to talk to your veterinarian about what type of product is best for you, your family, and your hairy friend! Once you have a flea infestation it will take a lot of work to get the problem under control, but it can be done. It is definitely better to prevent than to treat. Mosquitoes make us all crazy and send many of us running for the shelter of our homes on warm summer nights. They are just as bad for our four-legged companions. Dogs and cats both can get a disease called heartworm from these annoying little bugs. All it takes is a bite from a mosquito to introduce the larvae into the bloodstream and cause a heartworm infection. The larvae then begin to breed and grow and move into the heart chambers where they cause many problems with blood flow. They can even overflow from the heart into the lungs and cause breathing difficulties. This is why animals who have heartworm will have exercise intolerance and just seem depressed and lethargic. The heartworm prevention medications work retroactively. That is, they kill the larvae that the animal may have contracted in the prior month. This is why it is so important to give the medication on time every month. The new recommendation now is that all animals should be on heartworm preventative every month of the year. This is necessary because of the resistance that is beginning to build due to stopping the medication for a few months in the winter. Lucky for us, there are many choices in heartworm prevention for our pets. There are options for topical, chewable oral bars or pills, and even an injection that lasts for six months! Fleas, ticks and mosquitoes…we have your number! 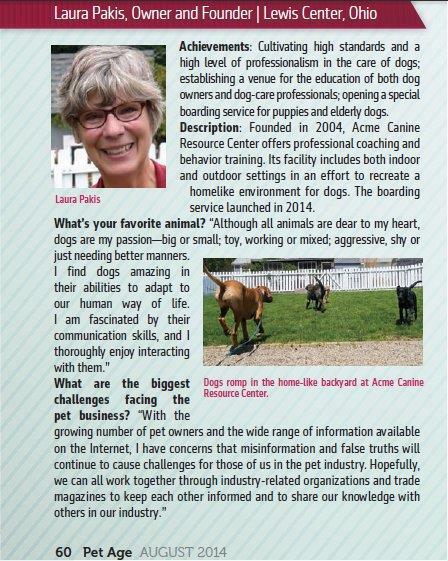 This entry was posted in Medical issues in Dogs and tagged pest control for pets. Bookmark the permalink.